The chairman of Sleaford Carnival Committee has been fined in court for leaving his waste bins out in the street outside his home too long. 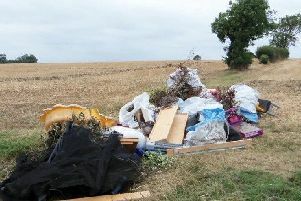 Nigel Gresham of Electric Station Road, Sleaford, attended Lincoln Magistrates’ Court on Thursday July 9 and pleaded guilty to two counts of breaching a section 46 Environmental Protection Act 1990 Notice requiring him to keep his waste bins off the street. He was fined £60 per offence (reduced from £100 for his early guilty plea). He was also ordered to pay costs of £300 and a Victim Surcharge of £20. North Kesteven District Council, which brought the prosecution, said Gresham had received several warnings over the past couple of years and had been spoken to as well by officers. Gresham was summonsed to court after he failed to pay a fixed penalty notice of £100 for the breaches, which would have given him an opportunity to discharge his liability to conviction.